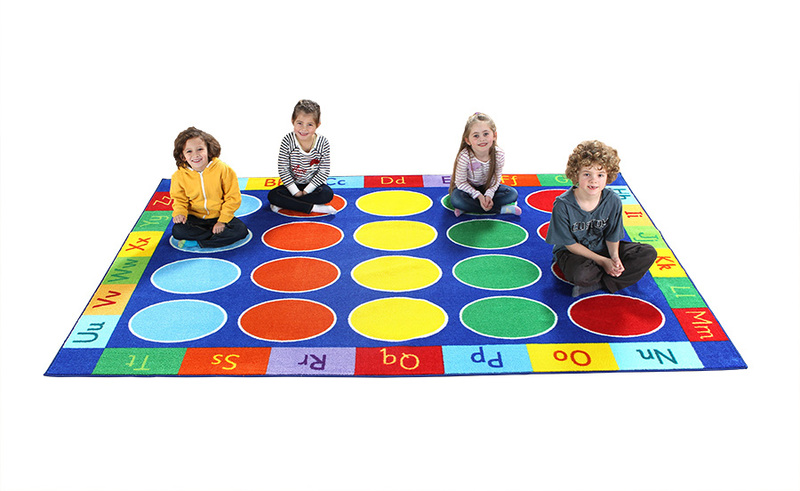 The Rainbow Coloured ABC rug is a bright addition to any classroom. It features 20 placement spots for children to sit on and is a great teaching aid in early years’ classrooms. The multi-coloured ABC floor mat has the full alphabet around the edges and is ideal for colour and letter recognition. Suitable for use in classroom reading corners, play areas or every day classroom use. The distinctive and brightly coloured, children friendly design supports Key Stage 1 Literacy and encourages learning through interaction and play.